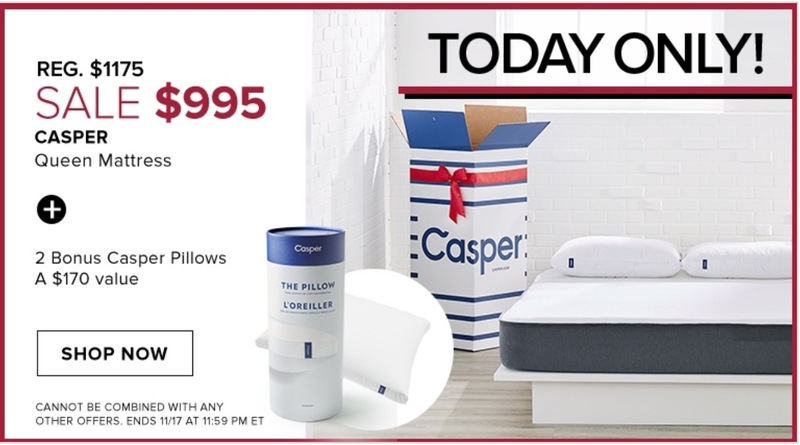 Casper Queen Mattress for $995 + 2 Bonus Casper Pillows a $170 value. Save up to 50% Off using the promo code CLICK at checkout. This promo code is valid until November 18, 2018. The promo code is only valid on items labelled “use code CLICK”. Exclusions apply. Save $20 off your $100 or more beauty purchase using the promo code BEAUTYVIP at checkout. This promo code is valid through November 18 2018. Hudson’s Bay offers FREE shipping on orders $99+ and on beauty orders $49+.